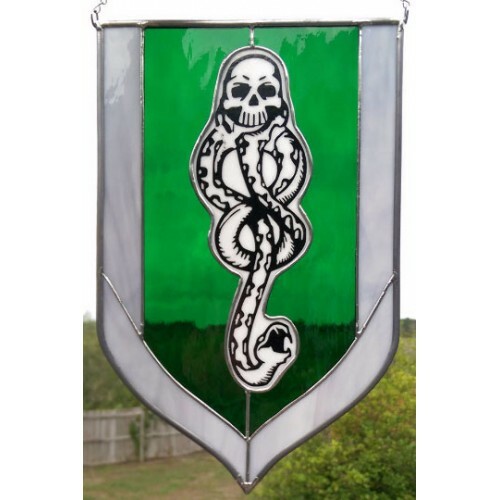 Show your death eater pride with a high quality, handmade stained glass panel! This piece measures approximately 7.5" wide by 12" tall, and hangs from a silver toned nickel chain. Image is permanent on the glass. This piece is custom made to order. Please allow 3-4 weeks for creation & delivery (if you need it sooner, please contact me, and I'll see what I can do for you).